Pumpkin Cut File. This post contains affiliate links to products I use and recommend. By making a purchase I may receive a small commission. Three years ago I was working from home blogging, momming and running my ETSY shop full time. My ETSY shop was booming as I created baby onesies one after the other. The holidays were always the best time of year for my shop. I started creating new products for Halloween, Thanksgiving and Christmas in August so I could have them ready to list. I’m always last minute but there are a lot of people thinking and purchasing for the holidays months in advance. I want to be like them – ha. My daughter Delilah was two at the time and she was my little model. Now I look back and realize I was creating a monster. She loves to pose for pictures and sneak off to find the brightest lipsticks she can now. That year I created a whole line of Halloween trick or treat bags and this pumpkin design was one of them. Place a letter, name or monogram in the middle for a personalized trick or treat bag. I’ve got another design coming soon especially for the boys. Silhouette, Cricut or other cutting machine of choice. Heat press, Easy Press or home iron. I get a lot of questions asking which heat source and cutting machine I use. I’m currently using the Silhouette Cameo 3 and the Power Press heat press. I purchased both from Amazon with my prime account. 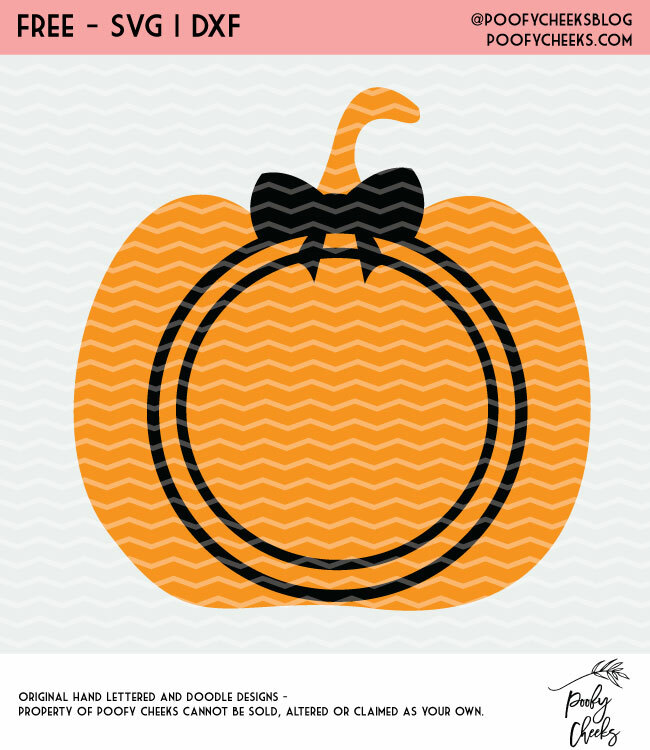 Sign up and get instant access to the Pumpkin Cut File. Join over 8,000 others who get access to our free cut file library. Success! Now check your email to get your free file!